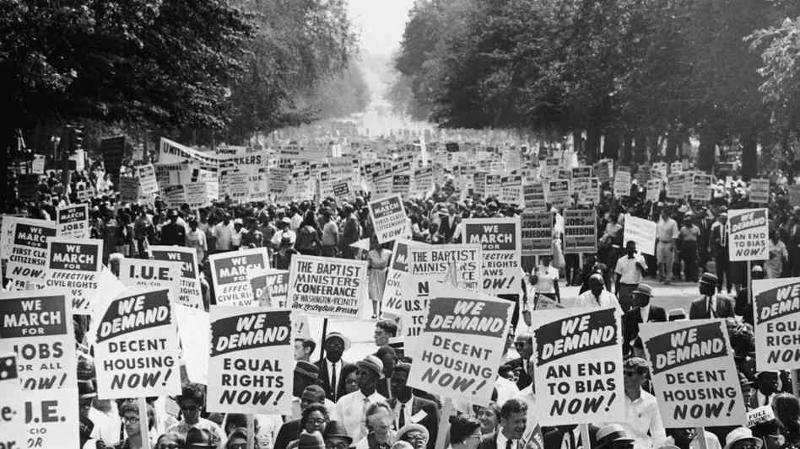 Most of my peers, both personally and professionally, were born at least a decade after the Dr. Martin Luther King, Jr. led August 28, 1963 March on Washington. While we are not total strangers to racial inequality, we have nothing in our collective experience even remotely close to life in the turbulent Civil Rights era. Some of us witnessed the dangers of crime and violence in neighborhoods where the opportunities had gone away to suburbs or lands overseas but none of us knew a world where the mere act of assembly, especially with friends of a different color, could end your life or land you in jail. Today, none of us even knows the difficulties of gathering. We do not know the challenges of organizing closed strategic meetings in undisclosed locations through word of mouth – phone lines were tapped and for some families a home phone was a luxury. Today, global communication is as close as a few words in a text or social media application away. We exact rapid change online. We even have change.org to expedite our processes. Social activism is literally in our hands. To put it bluntly, we have it easy. If you are a person of color with post-secondary education, live and work relatively safely in or near a major American city among people of multiple racial and ethnic groups, chances are your general quality of life is significantly better than it would have been 50 years ago. Of course, job discrimination, unemployment and economic strife are still regular realities for many Americans, but the possibilities to escape through education, career or with help through public and private assistance are numerous. And regardless of where you stand in the political strata, a black identifying biracial president is incredible progress. All we have to do now is commemorate the past. Remember, pay homage and learn. Talk to your children, young family members or other youth. Because we will never understand, we can only look back in reverence. Read the full text of King’s “I Have a Dream” speech here. Read the full text of Obama’s August 28, 2013 Commemoration speech here.